Simple design considerations based on the foundation of climatology and mindfulness are adequate to address low-cost housing problems. A Vastu-compliant layout that concerns itself with a compact core, rooms admitting daylight and a ventilated kitchen area are fundamental to the scheme. In addition, ancillary areas including store, laundry, and study should be well integrated within the design. Specification on finishes must be adhered to since their application ensures longevity and stability. Facades require informed decision-making, and adequate cost-effective measures can maximize the overall economic viability of their functioning. One should stick to effective, breathing facades with well-designed fenestration and avoid frills altogether. One can borrow from the expertise and ingenuity of BV Doshi’s spectacular success, the Aranya Housing in Indore, providing for roughly 80,000 families, and instilling a sense of community wellbeing in the neighborhood. Such designs are welcome where the community becomes an active participant in the healthy functioning of the residential cluster. Integration of a comprehensive landscape scheme underscores the ideals of a secure, balanced lifestyle, encouraging inhabitants to thrive. 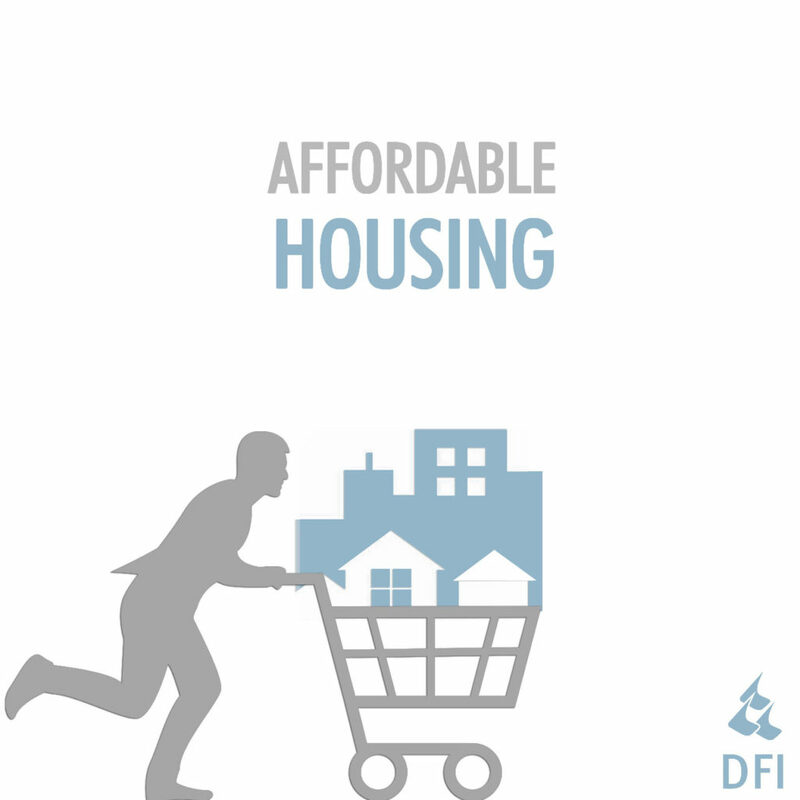 At DFI, we toil to craft such solutions, be it the BDI Ambaram at Bhiwadi, or the Surya Housing in Lucknow. ‘Concept Homes’ explores the premise of homeowners exercising complete flexibility with room configurations. Room sizes can be customized and functions can change over time. Besides, employing foldable furniture encourages economical use of space. Such simple interventions go a long way in minimizing costs and become vital components of low-cost housing design. Compared to similar developments, we managed to lower costs by a staggering 15-25%. Parking design still remains an unresolved subject, a classic case of neglect and apathy on all fronts. A facility as basic a two-wheeler parking, if overlooked can prove to be detrimental to the entire project, resulting in unwarranted encroachment, and ensuing chaos. The sector will see a sharp rise in the coming years, as a consequence of the sharp migration pattern towards urban agglomerations, and the country should hope for responsibility and cooperation among all stakeholders. Taking a cue from African nations such as Kenya and Rwanda, where developers such as Karibu Homes are taking the bull by the horns, we need to inculcate a similar mindset and a sense of accountability to lead the way. Design Forum International is a young-old organization with almost 25 years of experience that has quickly set the right foot to be one of the best architecture firms in India. The firm is a vibrant mix of young and experienced professionals bounded by a common thread: the passion to design. An active contributor to the Nation Building drive and the Indian infrastructural boom, DFI holds vast industry experience in both national and international projects with millions of square feet of construction in a varied range of typology like Affordable Housing, Master planning, Mixed-use & Retail, Institutional as well as Healthcare. Some of DFI’s notable projects include the famous Select Citywalk mall, and the recently inaugurated New Courts Block of Delhi High Court., the ITO Skywalk, Delhi and the Dakshineshwar Skywalk in Kolkata. The Guwahati International Airport in Assam, designed by DFI is also under completion and is scheduled for completion in 2021.